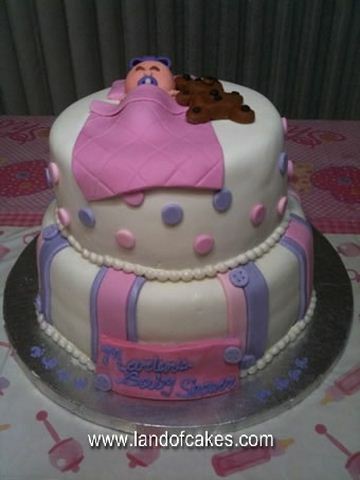 We made this pretty baby shower cake for a local customer who wanted something designed for a girl. They wanted a cake that was colorful and exciting but not too big. Let us design your next fondant shower cake.